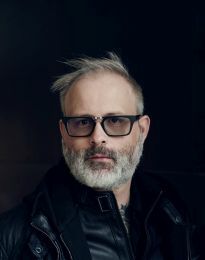 Denis Côté (1973, Perth-Andover, New Brunswick, Canada) has made ten feature-length films, both fiction and documentary, since his debut in 2005. He is a darling particularly at the IFF in Locarno, which has screened five of his films and two of them – All That She Wants (2008) and Curling (2010) – were decorated for best directing. Four of his other films have been presented at Berlinale, including Vic and Flo Saw a Bear, which won the Alfred Bauer Award in 2013 for a “feature film that opens new perspectives on cinematic art”. His latest film so far, A Skin So Soft, premiered this year at Locarno.